ACTIVISM. The Nordic Resistance Movement have today, despite sabotage from the Danish Nature Conservation Association, spent the day collecting trash from nature, as an effort to take responsibility of protecting nature as described in point 6 of Our Path. As National Socialists, we realize that humans are a part of nature and therefore must live according to its laws. 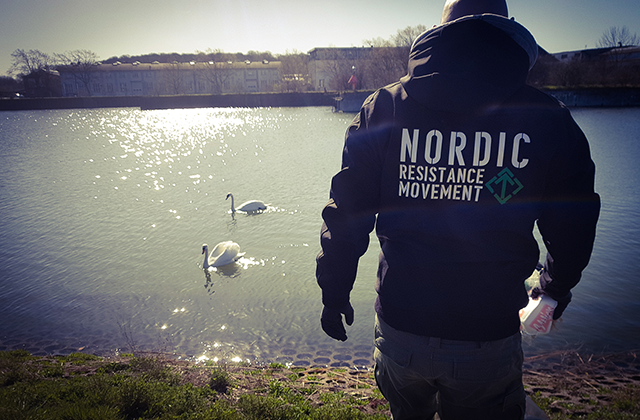 The Nordic Resistance Movement is the only political alternative in the Nordic region that wholeheartedly cares for nature, including the biological diversity of mankind. The values of National Socialism as a promoter of nature must eventually spread across the globe and radically replace the parasitical mindset humans currently have towards nature. 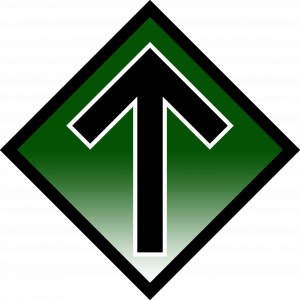 Without the National Socialist way of thinking, where humans are an integral part of nature with the responsibility to care for it, mankind will perish. As a united people we are strongest, and with a joint effort we get the farthest. Therefore, for the sake of nature and the environment, the Nordic Resistance Movement chose to join the trash collection arranged by the Danish Nature Conservation Association, under which private people and associations were invited to create their own trash collections. 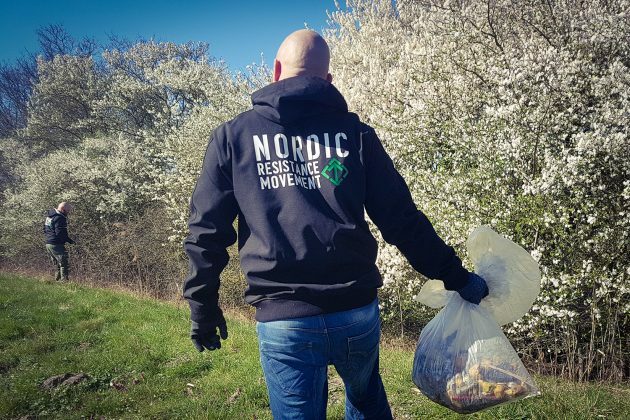 In the beginning of February, the Nordic Resistance Movement did just that – naming the event “A clean North” – and invited the public to participate. Mid-March it was revealed that the Danish Nature Conservation Association apparently cares more about political correctness than nature conservation. 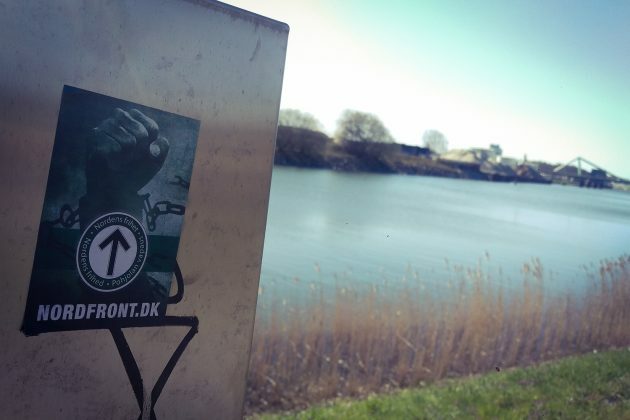 As some form of political activism and censorship the Danish Nature Conservation Association put their political views above nature conservation when they chose to remove the event of the Nordic Resistance Movement from the list of events on their website. It’s true that we have removed your event from our website. 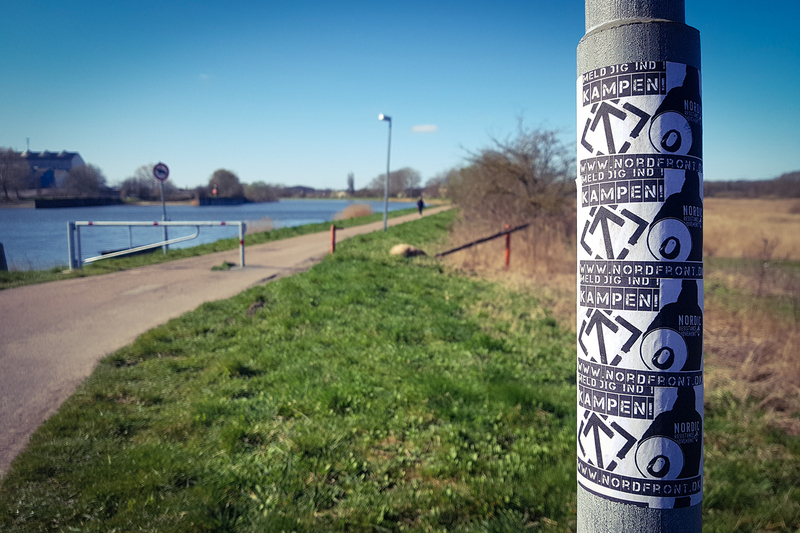 We think it’s fine if you want to collect trash but we have concluded that your event isn’t compatible with The Trash Collection 2019 and therefore we have removed it from our website, and we cannot let our name be associated with your event. Nordfront would have like to have had an answer as to why the Danish Nature Conservation Association puts political correctness above nature and why not being associated with people with different political views is more important than the environment. But as previously mentioned, they refused to answer. 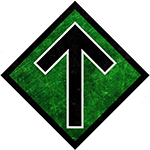 It is not that odd that the Danish Nature Conservation Association fearing to be associated with a National Socialist organization feel forced to reveal their true colours, nothing but hues of red! 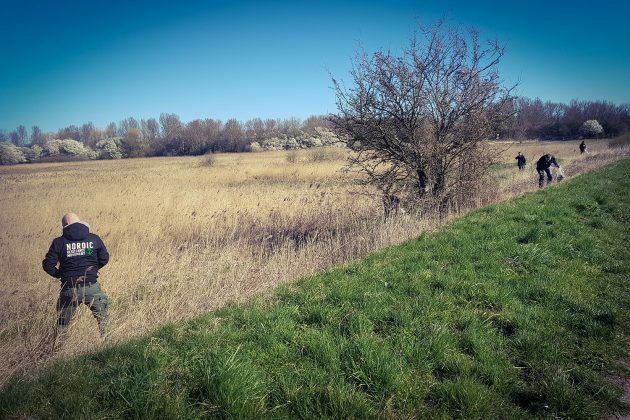 The President of the Danish Nature Conservation Association is for example Maria Reumert Gjerding, former politician for the far-left party Enhedslisten. 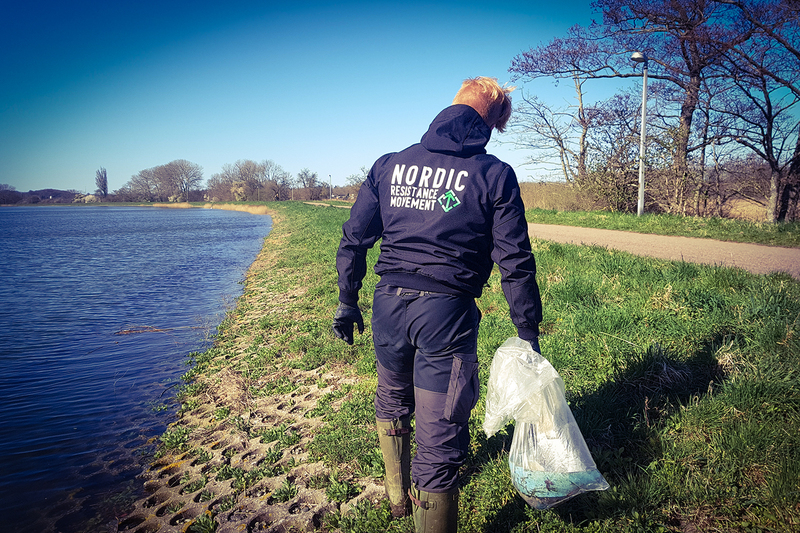 Subordinate to Reumert Gjerding are several kindred spirits in terms of political views, among others the PR manager for the Danish Nature Conservation Association Emil Nielsen, former PR manager in the party Enhedslisten. Board of Director Rune Engelbreth Larsen, co-founder and former chairman in the humanist, multicultural, now closed Minoritetspartiet (Minority Party). He has since the closure of the party advised people to vote for Enhedslisten. Furthermore Engelbreth Larsen was co-founder of the leftist magazine Faklen where he also served as editor until the magazine closed, as well as a member of the Danish branch of ENAR (European Network Against Racism) and initiator behind the anti-Nordic network Danmarks Løver (The Lions of Denmark). In the elitist entourage we also find the press advisor for the Danish Nature Conservation Association Kasper Pihl Møller, former press advisor for Conservative politician Connie Hedegaard, who has on several occasions been attending the secretive Bilderberg meetings. 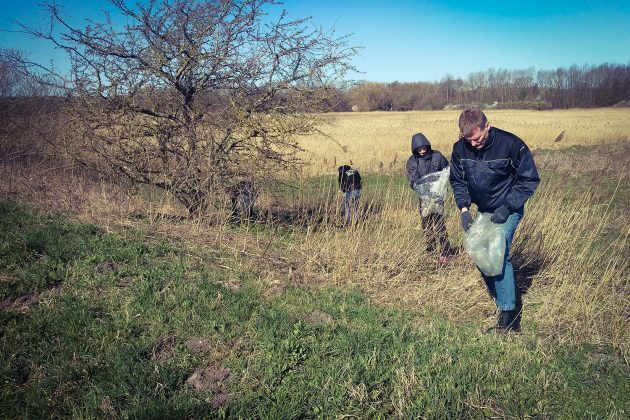 The Danish Nature Conservation Association, led by people like these, would see trash cover the Danish countryside because of their political views and ego, and through this they sabotage their one and only cause as the Nature Conservation Association of Denmark and throws it under the bus in the name of political correctness. This shows once and for all that the Danish Nature Conservation Association is a political organization more than a nature conservation association, and that the Nordic Resistance Movement is the only political alternative in the Nordic region that wholeheartedly cares for nature. 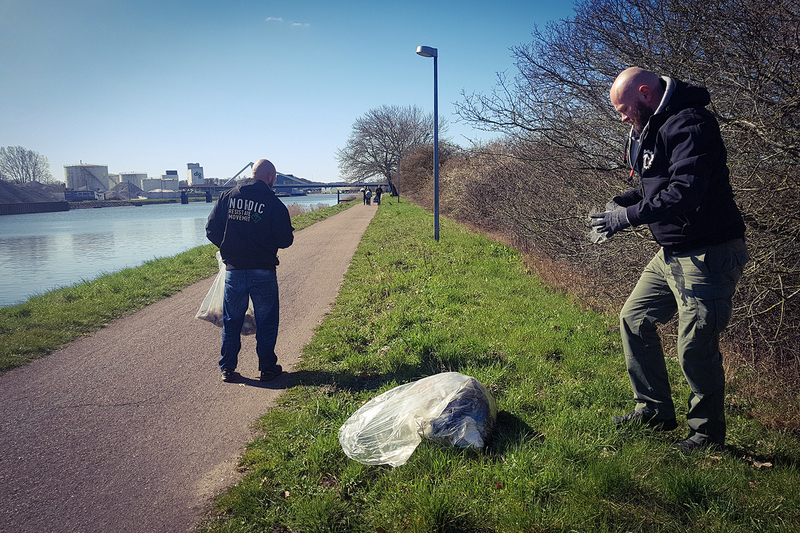 The Nordic Resistance Movement’s event resulted in eight large trash bags being collected as activists and guests, despite of the sabotage of the event, went out and collected trash along the canal in the city of Odense. Plastic, Styrofoam, different types of wrappings and cigarette buds were some of the most collected pieces of trash when the day ended. 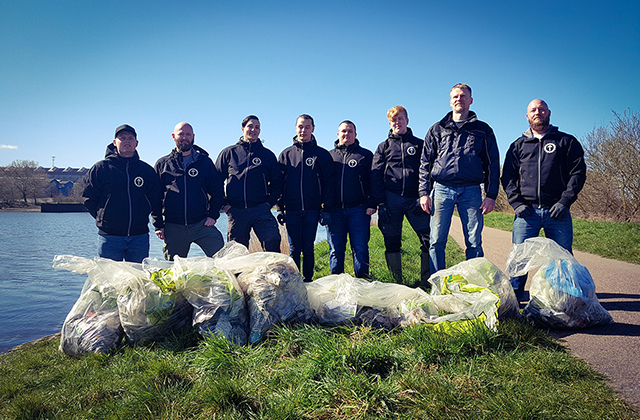 Both activists and guests had enjoyed the day and the great weather, and were pleased knowing that they had spent the day doing something good. Sensibility, duty and responsibility, the future and Nordic folk unity were subjects also discussed during the day by guests and activists, and when the day ended one of the guests had decided to apply to be a part of the Nordic Resistance Movement and is now looking forward to his recruitment meeting.